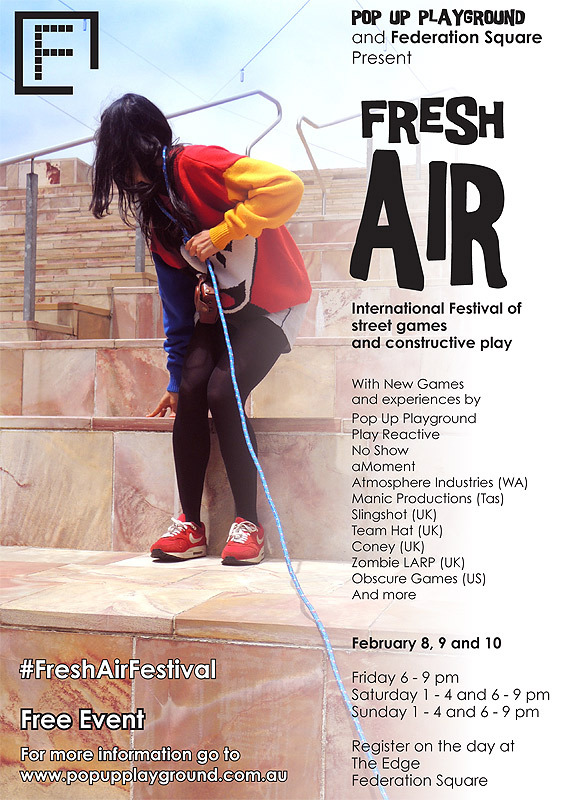 Fresh Air is an international games festival of outdoor pervasive and social games presented by Pop Up Playground which will run at Federation Square on the 8th, 9th and 10th of February, 2013. For three days at the end of summer, Pop Up Playground presents a range of new games and playful activities developed by Pop Up Playground as well as games and situations from local and international games designers and playful companies. Fresh Air trailer from popupplayers on Vimeo.